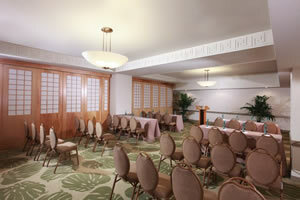 Striving to share the enriched history and traditions of Hawaii with its guests, the Sheraton Princess Kaiulani is a unique holiday paradise that seeks to envelop travellers the world over in a soothing ambiance only found throughout the Hawaiian Islands, an ambiance that when combined with lavish designs, modern amenities and an attentive level of service helps create a holiday experience that is sure to never be forgotten. 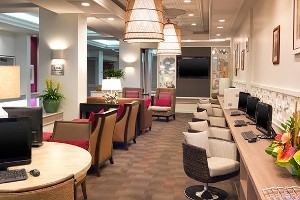 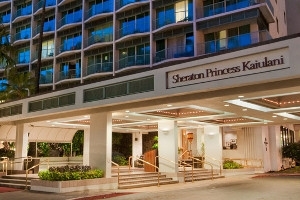 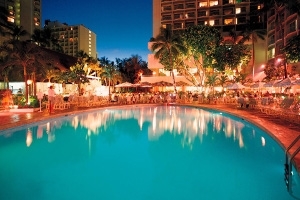 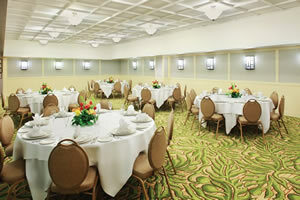 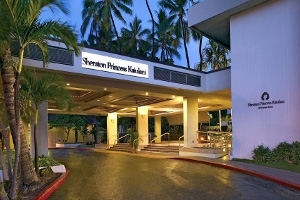 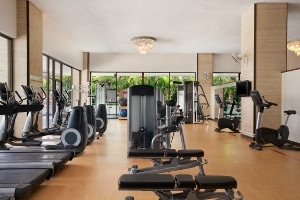 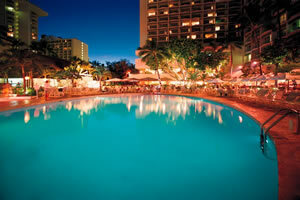 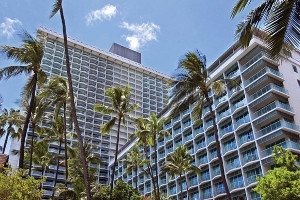 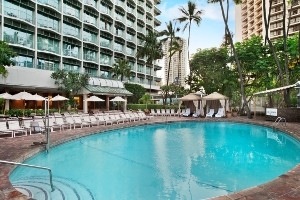 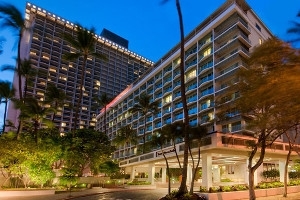 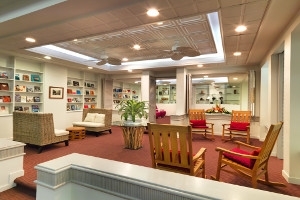 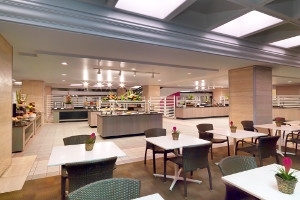 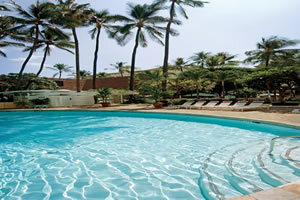 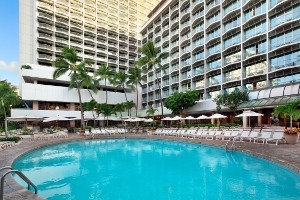 Situated mere steps from the warm sands of Waikiki Beach, the hotel provides easy access to the many sights and sounds of Oahu up close and from the comfort of any of the 1,142 generously spacious accommodations that serve as individual havens granting views of everything from the Diamond Head to the renowned lights of Honolulu. 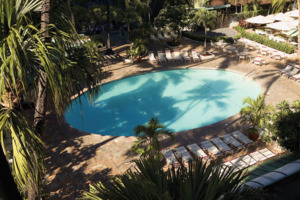 With so much to do both in and out of this exotic establishment, any and all guests will find themselves spoilt for choice, and whether it’s relaxing or exploring, a memorable time is all but guaranteed. 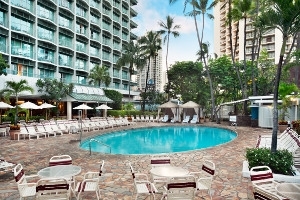 Situated mere feet from the lapping, aquamarine waves of Waikiki Beach, the Sheraton Princess Kaiulani sits as a warm and welcoming hotel that invites guests the world over to immerse themselves in the splendour of Hawaii while also highlighting the deep rooted culture and traditions that have made these islands unlike anywhere else in the world. 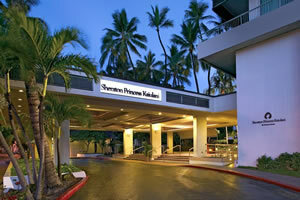 With the soothing ambiance of Oahu permeating throughout the island, the hotel is a great place to ease back and enjoy the spacious settings, contemporary commodities and attentive level of service the hotel provides, while those looking to explore can embrace the soothing ambiance that permeates throughout the region, discovering the sights and sounds up close and perhaps uncovering vantage points for some truly intimate moments. 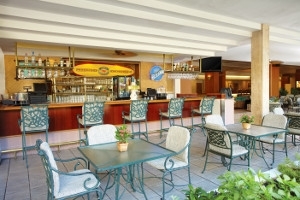 With a number of facilities to utilise, in-house dining venues and a total of 1,142 spacious accommodations to choose from, each boasting unforgettable views, a unique holiday experience is exactly what awaits visitors to this fantastic hotel. 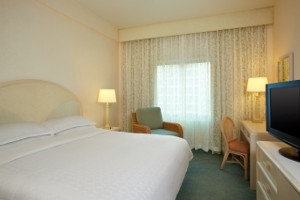 The City Side View Room offers guests a comfortable accommodation fitted with modern commodities and plush comforts in an intimate setting that was once used for airline crew. 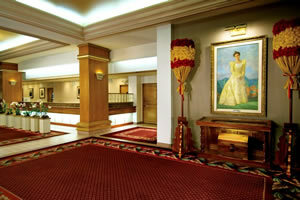 The room features limited views of the surrounding cityscape. 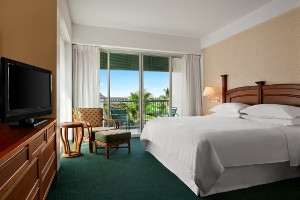 The Standard View Room offers guests an attractive accommodation adorned in tropically inspired decor along with a variety of amenities to ensure a memorable stay. 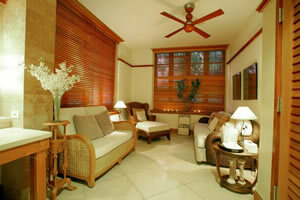 The room features a private balcony that boasts of external views. 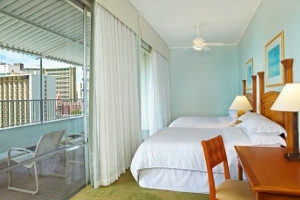 The City View Room offers guests a stylish accommodation filled out with lavish furnishings, modern amenities and chic, modern decor. 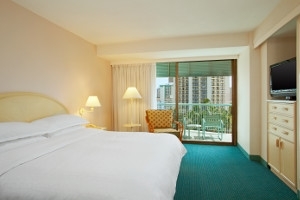 The room features a private balcony that showcases views of the cityscape. 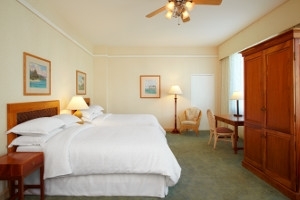 The Pool View Room offers guests a welcoming accommodation furnished with contemporary fittings further enhanced by plush comforts and stylish decor. 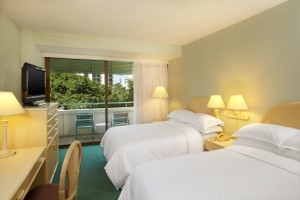 The room features a private balcony that looks out over the pool. 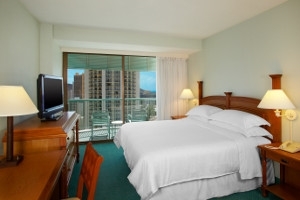 The Tower Partial Ocean Suite offers guests a lavishly furnished accommodation that grants an abundance of space, style and privacy all accompanied by plush comforts and modern amenities. 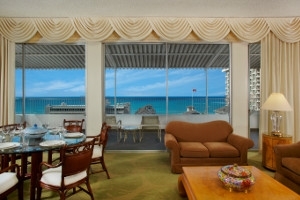 The suite features a private balcony that showcases partial ocean views. 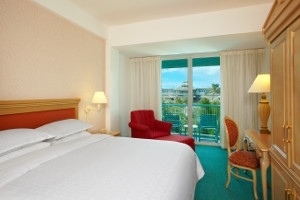 The Tower Suite offers guests a stunning accommodation styled with tropical decor and fitted with plenty of plush furnishings and modern amenities to accompany. 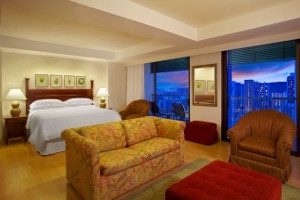 The suite features a private balcony that grants sweeping views over the surrounding area. 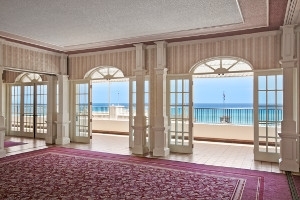 The High Ocean View Room offers guests an opulent accommodation that contains rich, wooden furnishings, stylish decor and enough comfort to satisfy most travellers. 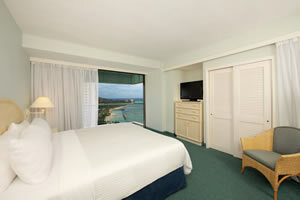 The room features a private balcony that showcases enhanced views of the ocean. 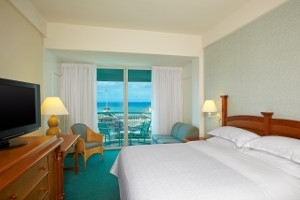 The Deluxe Ocean View Room offers guests a generously spacious accommodation filled to the brim with plush comforts, stylish decor and modern amenities to ensure all visitors of a memorable time. 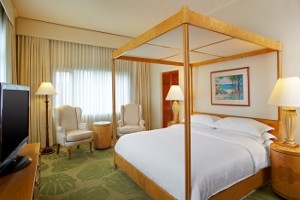 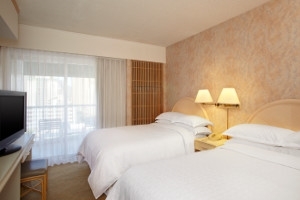 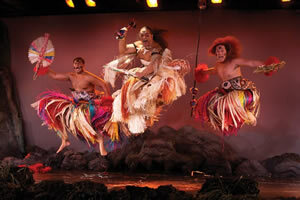 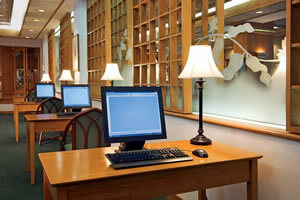 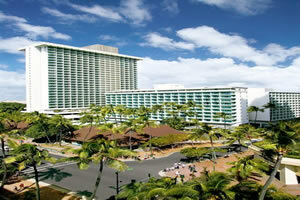 The room features a private balcony that boasts of undeterred views of the ocean and sister hotel, the Moana Surfrider. 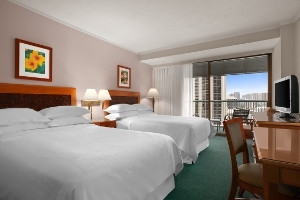 The Tower City View Room offers guests an idyllic accommodation fully fitted with plenty of plush comforts, numerous contemporary amenities and plenty of room to roam. 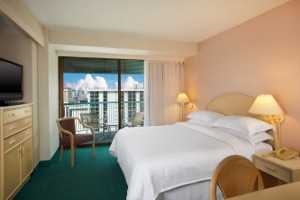 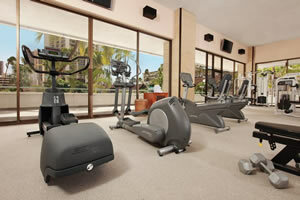 The room features a private balcony that showcases vibrant views of the Honolulu city lights. 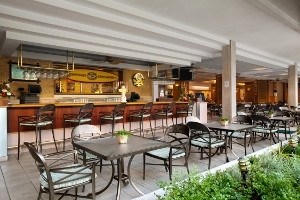 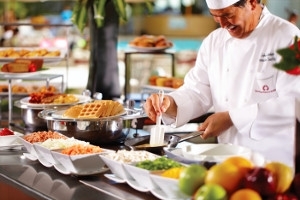 Pikake Terrace – Take your pick from a delicious buffet selection of local dishes and Hawaiian favourites at this casual open-air eatery. 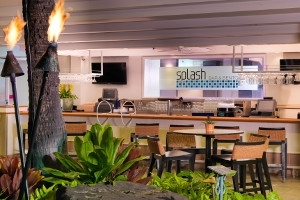 Splash Bar & Bento – Pull up a seat and enjoy some relaxing bento-style dining out in the open with tropical drinks and nightly entertainment.